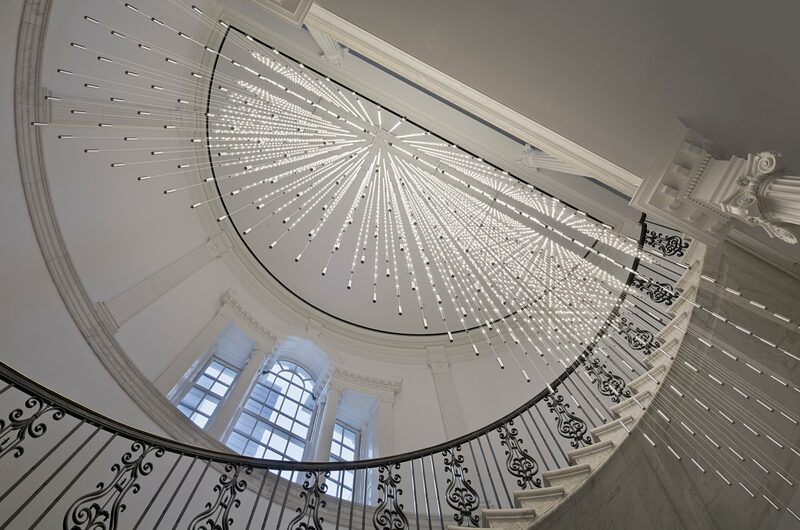 The dazzling focal point of the Museum’s main entry space, this brilliant light installation is suspended above the Rotunda. Conceived by Cooper Joseph Studio, it accentuates the Rotunda’s sweeping circular staircase. The 5,283 points of light boldly complement the Museum’s 1932 neo-Georgian home, reflecting its mission to connect the city’s past and present. Using state of the art technology, the piece needs minimal energy and generates virtually no heat. It is among the Museum’s most photographed features. Starlight has been temporarily removed for maintenance. We look forward to it being back on view in late April. Share your pictures of Starlight with us on Instagram using the hashtag #StarlightSunday!